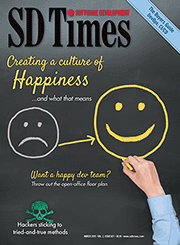 The most important aspect of the SD Times 100 is leadership. Influencers stand out from other organizations and projects by directing and defining the trends of the industry, not just in excelling at what they do. This list contains those who changed the way software is made, be it in platforms, methodologies or standards.